Need to track your remote team? How do you keep track to check if your employees are working to their full potential? We know there is plenty of employee monitoring software out there, but you also need to ensure the data can be used for improving productivity and efficiency. This is where we find that Hubstaff, presented by a group of over 30 veteran developers, can help you with its time tracking and other essential features. Start Free 14-Day TrialHubstaff is a time tracking application that helps companies manage their team and workflow efficiently and effectively. This improves the overall productivity especially for those dealing with remote teams. You have a desktop app which when running, monitors the websites and applications viewed by your team and how much time they spend on their desktop. All this data is gathered and creates individual reports for all your employees. Your team members can also track how much time they spent on a particular task or project. It keeps track of how each employee is working, and depending on it, what payment needs to be done. There are many functionalities and features and add-ons which you can purchase based on your need. With Hubstaff you can track mouse/keyboard moments as well as random screenshots of work being done. An invoice is generated which also helps you bill your clients. Cool, isn’t it? Hubstaff is currently being used by 1000s of teams, all over the world! What are the Features of Hubstaff? Hubstaff helps keep track of each employee in a project. The dashboard of the team shows the working hours and the projects completed in the last 7 days. The project status monitoring allows you to see the status of the project at a glance. Multiple projects and teams can be easily added to a single account. The timesheet software logs the first activity and the last activity of the day based on mouse movements. You can take screenshots of your employees screen every 10 minutes. Due to this monitoring, they will work more efficiently. The payroll software calculates payouts based on the hours logged. This payment is based on the number of hours of work and not time spent at the office. 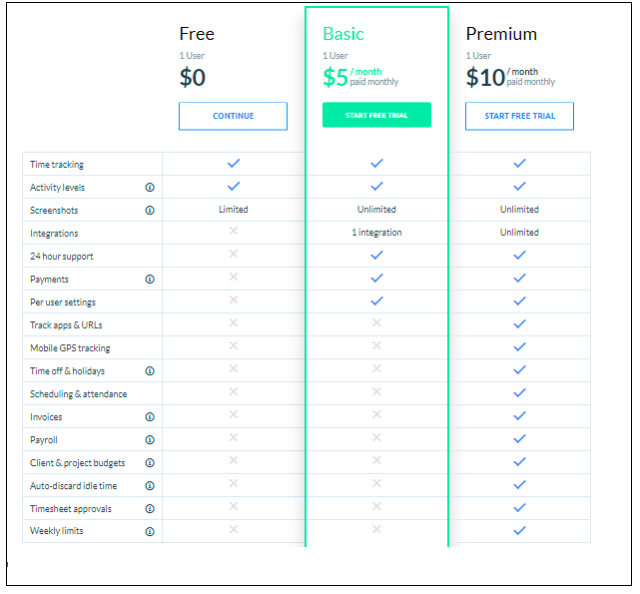 You can sign-up for a 14 Day Free-Trail before you decide on Hubstaff. You have got to fill in all the details which include team name, number of staff and your company logo. You can choose a suitable plan based on your budget. These include Solo Lite, Basic, Premium. Download the desktop app and fill in details of your employees. You can customize the settings for each employee. Invite team members to Hubstaff and notify them of the desktop application. If necessary, you can set up rates per hour for your employees. That’s it. You are ready to use Hubstaff! We love the user interface which is attractive with plenty of space for data analysis. When you log in, you are taken to the main dashboard. Here you get immediate information from your employees, see their recent tasks, and how active they have been. This also helps you keep track of projects which need more attention from your dashboard. As an admin, you get notifications on reaching the budget and when you reach employee limits set for the week. Employees should download the timer app on their machine to keep track of their work. The mobile apps do not take screenshots but can track the location of employees on the go. 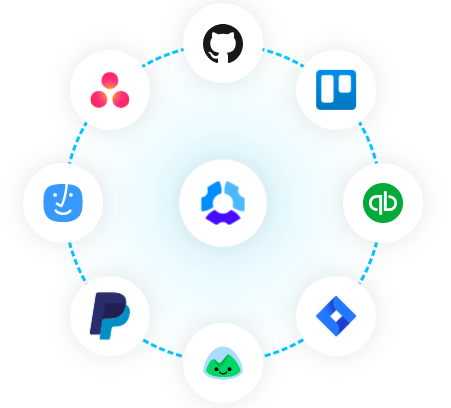 What are the integrations and add-ons available? This tracking tool is feature-rich and an ideal choice for teams across multiple locations irrespective of the size of your organization. If you need a Lot of customization at a micro level, you could face some difficulties which can be overcome with time. Nevertheless, it is one of the best for time tracking and employee productivity management.